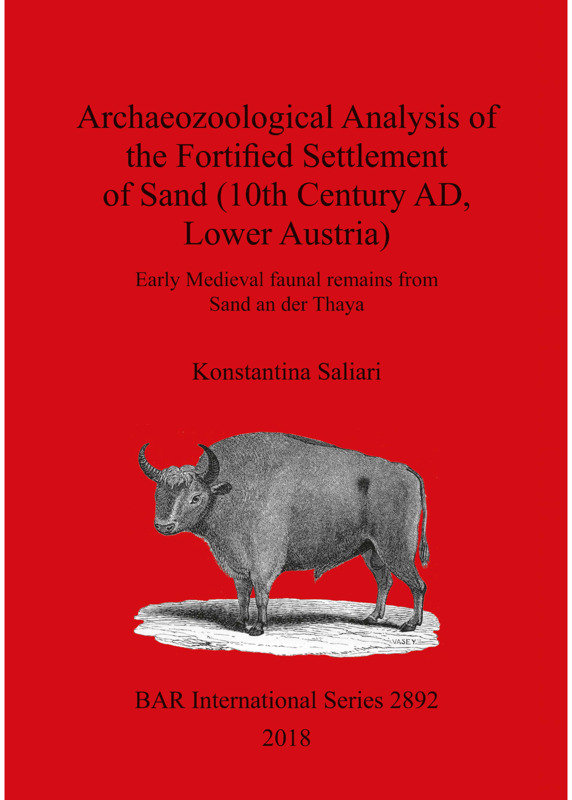 This book presents an archaeozoological analysis of the Early Medieval fortified settlement Sand, in Lower Austria. The work describes the exceptional socio-economic organisation of a settlement based on its animal remains, at the border between Slavic and German spheres of influence. The investigation sheds light on aspects of daily life, the interaction between consumers and providers, and the exploitation of faunal resources. The first part of the book is dedicated to the environmental setting, the site, the material, and the methods applied. The main part presents a species by species analysis of the numerous faunal remains. The final part of the book discusses the archaeozoological results within the archaeological record, as well as the historical sources. The archaeozoological results show that the study of the faunal remains has played a decisive role in the archaeological interpretation of the site and substantially improved our understanding of historical processes and social dynamics. Konstantina Saliari obtained her BA and MA in Archaeology at the University of Athens. She completed her PhD at the University of Vienna, focusing on archaeozoology, and she is now employed by the Museum of Natural History Vienna. She has participated in numerous archaeological excavations and scientific conferences.